← Giving Tuesday 2018 – the details! Thanks to the incredible financial support and consistent dedication from supporters like you, we’ve been making a difference in the lives of tens of thousands of animals each year for nearly 25 years. We focus our time and energy on our unique outreach program reaching animals and pet owners in need. We provide education, spaying/neutering services, food/treat donations, proper shelter and outdoor provisions year-round. No matter the weather or the holiday, our team will ALWAYS be there for underprivileged dogs and cats. 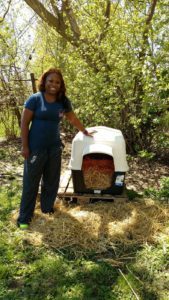 • Nearly 145,000 addresses have been visited by Animal Care Network Teams – providing assistance of food, straw, proper shelter, supplies, and spaying / neutering. • Nearly 9,550 animals have been spayed / neutered through our outreach grant programs. Help Us This Holiday Season. There are two simple ways you can assist animals this year. Donate to fund a much-needed dog house & 2 bowls or donate to our general fund. A. Our canine friends need shelter and clean bowls year-round. Your donation of $65 will provide 1 dog house and 2 bowls for a dog in need! B. A year-end general donation of any amount will help us continue our unique, life-saving efforts. Help us buy necessary items like food, treats and supplies for all the animals we assist. We need your help to reach even more animals and families in 2019. Give today. Thank you. Warm holiday wishes to you and your fur family!